Images by Lisa Helfert Photography. Venus Theatre is among more than 50 professional theatres in the Washington D.C. region participating in the Women's Voices Theatre Festival. 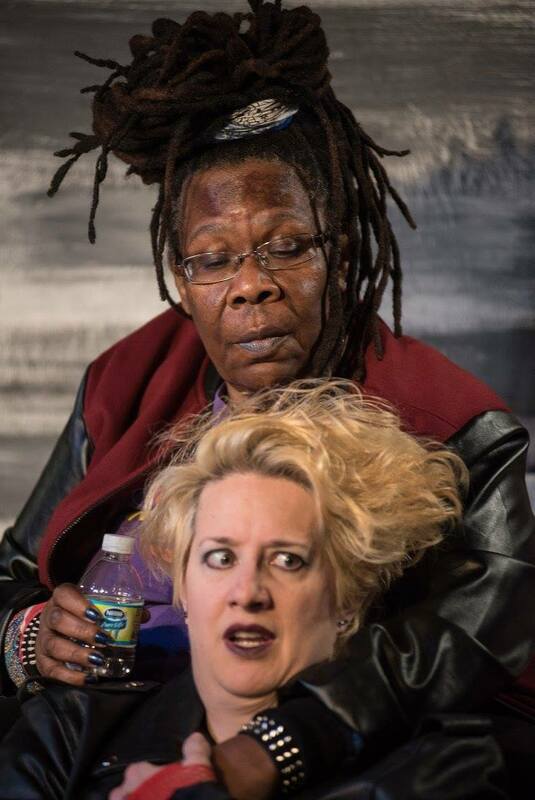 Witches Vanish by Claudia Barnett, directed by Deborah Randall will perform Aug 20 - Sept 20, 2015 and RAW by Amy Bernstein, directed by Deborah Randall will perform Oct 22 - Nov15, 2015. Welcome to our 51st women empowering script here at Venus Theatre. Venus Theatre is among the longest running women's theatre companies in the world. It is the mission of Venus to set flight to the voices of women and children with theatre for a lifetime. This is a world premiere and features two Venus veterans, Ann Fraistat and Caty Benson. Esme loves to sing and dance, dressing up in costumes, performing her ‘Golden Oldies’ to an imaginary audience. Today is Esme’s 36th birthday and because she has the mental age of a seven year old, she still lives with her tired and overwhelmed mother, Bessie, in a dilapidated old crumbling home, set in the rural South. Esme has a twin, not seen for quite awhile. Heartsick Bessie yearns for the twin, who’s ‘the okay one’ to come home to celebrate. This will never happen and only Esme seems to understand this. A stranger, on the run, named SJ, enters their small lives, seeking to hide from a violent partner. She encounters the extraordinary, both in the human beings who live there as well as their magic of simply ‘being’. A realistic (but magical) tragicomedy set in America's rural south, with intermittent Physical Theatre Scenes. Doc is an American who has lived and written in Oxford, England, the last 28 years. She was one of the founding mothers of Women In Theatre, in Los Angeles.